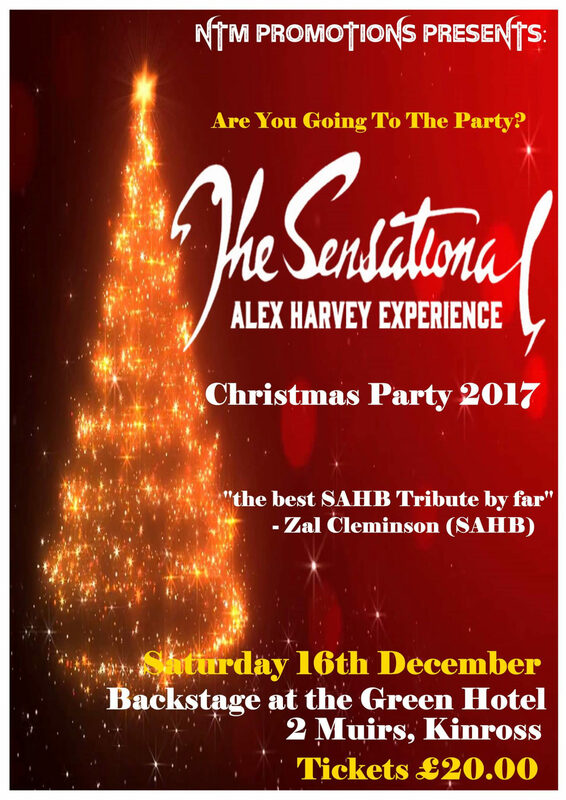 The Sensational Alex Harvey Experience is the UK’s no 1 tribute to SAHB. The Band has been touring extensively over the past few years and 2017 has seen them go from strangth to strength. At the end of 2016 the Band played prestigious gigs at the O2 ABC in Glasgow and the Voodoo Rooms in Edinburgh to enthusiastic crowds. 2017 will be rounded off by a first appearance at Backstage at the Green Hotel in Kinross. You can expect to hear all of the best-known SAHB songs and a few surprises and rarities thrown in as well! The Band embraces all of the theatrics of the original band and will pay homage to the legendary SAHB Xmas shows with this special gig in Kinross. The band has been described by Zal Cleminson himself as “the best SAHB tribute band by far”.